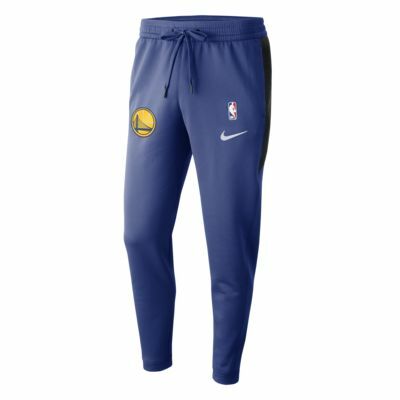 Nike innovation meets NBA pride with the Golden State Warriors Nike Therma Flex Showtime Men's NBA Trousers. They are made from soft, highly stretchable fabric to help keep you comfortable. 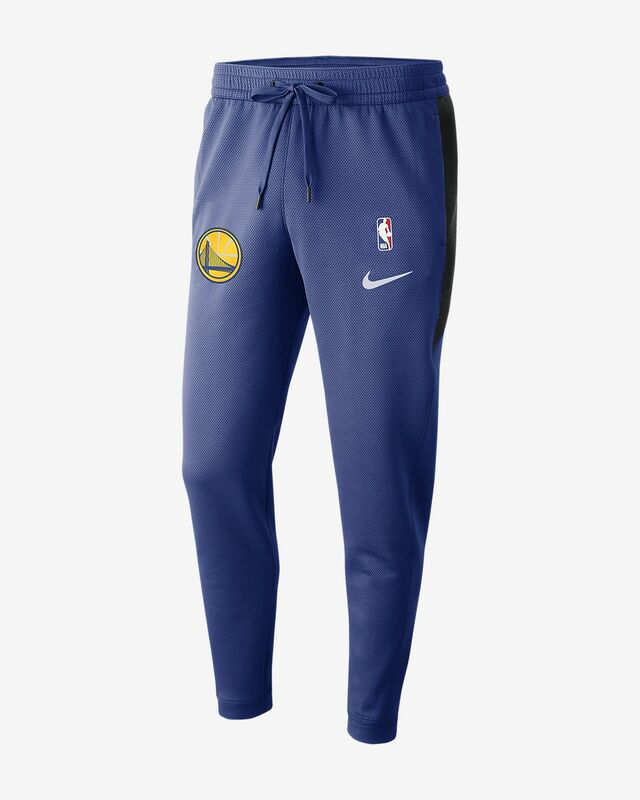 Nike innovation meets NBA pride with the Golden State Warriors Nike Therma Flex Showtime Men&apos;s NBA Trousers. They are made from soft, highly stretchable fabric to help keep you comfortable. Body: 92% polyester/8% elastane. Face of panels: 100% polyester. Back of panels: 65% cotton/35% polyester. Side pockets: 100% recycled polyester. Back pocket palm side: 100% polyester. Have your say. Be the first to review the Golden State Warriors Nike Therma Flex Showtime.